I lived in Upstate NY for more that 30 years, can you believe I never had this kind of fish "perch" or no less Fresh Fried Perch? I had no idea what I was missing. 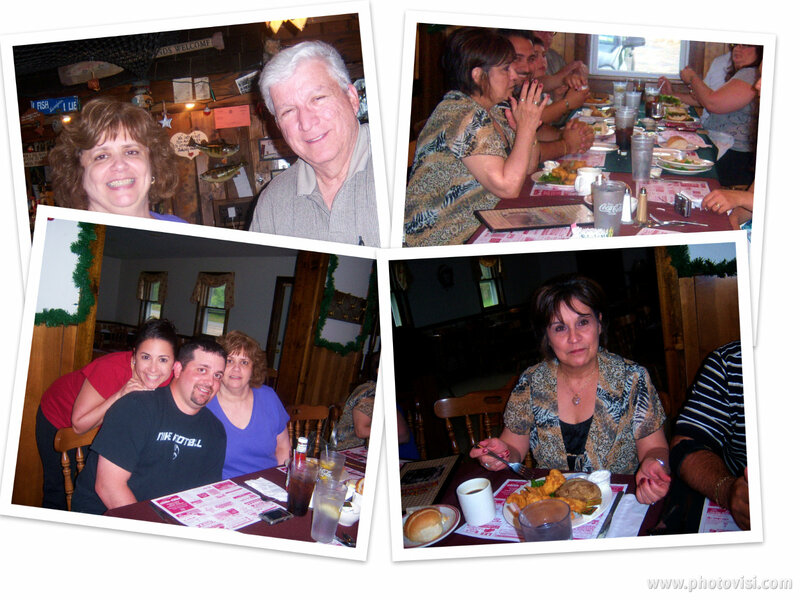 Then on this past vacation to Upstate NY, our Uncle Joe and Aunt Linda introduced us to Fresh Fried Perch at Okey Dokey's Restaurant and Owners Craig and Therese Williamson of Floyd NY. We were hooked immediately. (no pun intended). This fish had quite an interesting journey after talking to Craig on how he gets it all year round. There are three Lakes he catches them in, Delta Lake, Oneida Lake, Canadarago Lake. Craig has had perch on the menu for nine years now. He caught 44 perch just today for our awesome dinner tonight. The largest one he has ever caught was 15 1/2 inches long around 2 1/2 lbs. That's quite impressive. He has 50 years experience in fishing and gets them all year long and I can tell you first hand it's one of the best fried fish I have ever eaten ! He has one of the only establishments around that carries fresh perch and people come from Rochester, Buffalo and as far as Ohio. Folks travel from all over to get this and I can see why. Wednesday night is usually perch night. We had made a special request and Craig went out of his way to get us a fresh catch for tonight, since we were flying back to Florida Wednesday evening. A special thank you to you and your lovely wife for this fabulous meal. As you can see below I didn't leave much~ it was so incredibly fantastic.... a mild white fish. Craig said he uses three spices and flour to make that delicious breading on the outside, and then they are deep fried.The are located on Rte 365 Floyd NY , 5 minutes from Rome,NY and the gateway to the Adirondacks. Don't miss a chance if your any where in the area to try this fabulous establishment, there is something for everyone on the menu. The menu is just awesome, homemade cooking and worth the trip, very reasonabley priced. For the haddock lovers take a look at this gorgeous golden brown fish~ delicious! I honestly wished I had more room in my stomach to eat more! The servings are such large portions! Aunt Linda and Uncle Joe, the familia at the table, Aunt Linda, Lenny her son and daughterinlaw Tara, and the last picture is my motherinlaw Sandy. We all had a great time together. I had no idea that everywhere we drove I would see a woodchuck, my motherinlaw has one living under her shed. He actually sits there in the driveway and runs underneath the shed when she pulls in the driveway! Every where you drive in Rome you will see woodchucks in the grass area's! Amazing! So off to the Barge Canal old Erie River system. Rome NY Barge Canal, very peaceful. People and kids fishing everywhere here. Uncle Joe and Nemo enjoying the view. Oh yeah and the piece of resistance baby, half moons from some local bakeries, Hemstroughts, they sell these at a local market in New Hartford NY. They sell them everywhere, Holland Farms, is another favorite. Just look at this New York Style Pizza, this one came from Franco's in Whitesboro, NY this didn't last long! I saved four pieces to bring home. I went over the weight limit in my suitcase, I just picked up a few things we can't find in Florida our last day of the trip and my husband was not too happy carrying the bags and still complaining, of course he will have no problem eating it afterwards though!. Bagels, five loaves of bread, cheeses, My T Fine puddings, pasta, hazel nuts, spices, tomato pie, pizza, and some pastries. Not all in the picture, just imagine my carry on that weighed around 15 pounds, and the suitcase weighed 58 lbs before I took out all the food and put it in a carry on! I love to go home to shop for food~ not to mention my kids request things....they have two New York Yankee Shirts waiting for them also. Freshly Caught Perch. Ate tons of haddock, pizza's, pusties, cannoli's, half moons, tomato pie....oh my~ So if your looking for culture, tradition, fresh caught fish, the best pizza's, and fabulous Italian pastry and every great food that's Italian imaginable, you need to plan a trip to Upstate Utica/Rome one of the best area's for the taste of real Italian homemade authentic foods that I was brought up on....I love Upstate NY!!!!!!!! What a fabulous trip! Looks like you need to make more frequent trips so you can avoid going over the weight limit on your luggage! lol! What a great post!!! And all that gorgeous fish!!! Oh my! Ravenous now!!! So great to see a picture of you too! Sounds like you had a truly amazing time!! P.s. Love the text story, Okey Dokey, night!!!! I am a fishaterian! and I am drooling over the fish stories..lovely! I am going to have to investigate this a little! LOL. I went to school with some Williamsons! HMM. I wish you were up here long enough so I could have met up with you! What an awesome trip. Never have been to NY but would love to one day. All the food looked soooo good. 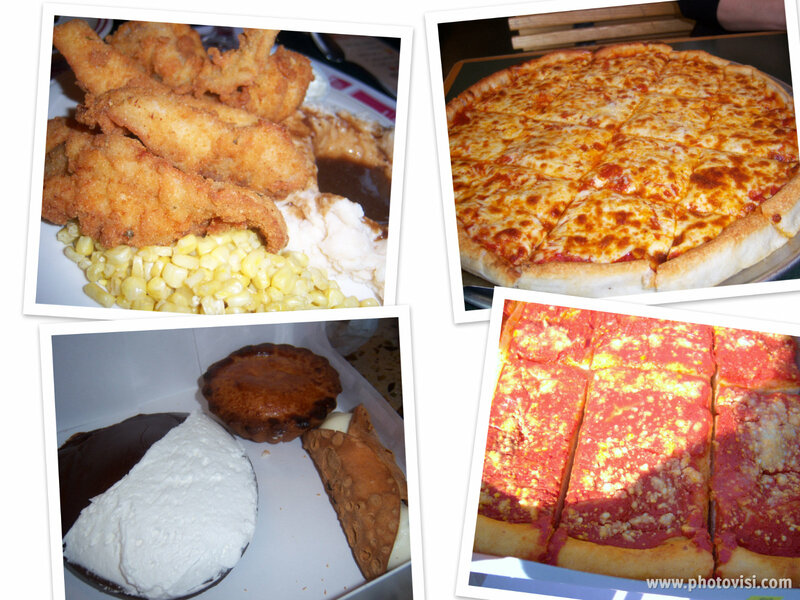 Man, that pizza was calling my name and the fried fish. By the way, do you live in Florida? Sounds like you had great time. Wish I had that perch on my plate right now with some herbs and a glass of beer. I don't know that I've ever had such freshly caught fish. I could eat a lot of that, let me tell you. And I am SO envious over the New York style pie, that is just my favorite. I mean, Poppa Trix brought me back not one but TWO from NYC on the train and they barely lasted 2 days!! I love the story of your trip back to upstate NY. Okey Dokeys' looks like a fun spot, and the fact that they are able to get such incredibly fresh fish..amazing. Love the woodchuck...and Alan was very impressed by that black and white cookie. He was just asking me this afternoon when I was going to bake some again. I always love trips when I can come back with things I can't get here in Sonoma (mainly Indian) most of the stuff on your list is all over the place here..as we're in "Little Tuscany". You look like you've had a wonderful vacation and are now ready to get cooking again. I've never heard of perch either! I won't how far you are from nyc? All of that food looks delish, especially that pizza. Can't go wrong with ny pizza! Hope you had a great time! Sounds like a fun time and the fresh fish must be incredible! How did you get that woodchuck?? How cool! Okey Dokey!! I've never heard of Okey Dokey. It looks great. We will have to venture to Floyd and try it out. Although I don't like fried anything, maybe they offer it baked? Oh my! What fun was had! You look so pretty in your photo! I loooove fried fish. Yummm. Sounds like (and looks like!) you had a blast, Claudia. I adore perch - and the fresher the better. You make it look as scumptious as it truly is! This sounds so wonderful....I want to go!!!!!!!! The fish is my fantastic!!!! I grew up in Binghamton, and Upstate NY is my east coast home! How funny.. wonderful to see all these great places represented in such great fashion. If you get up there again this summer let me know!